Julie Kohner presented Voices of the Generations to the Holocaust and Creative Impulse freshman class at the USC School of Music on Tuesday, October 9, 2018. Julie has been presenting VOG annually to this class, taught by Nick Strimple, for many years. This year was no exception. The students were moved and inspired by Hanna’s story. 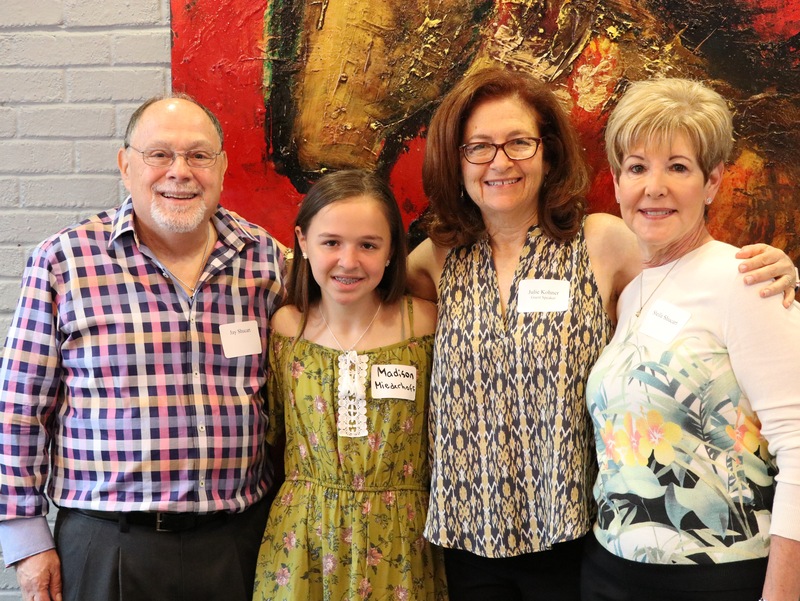 Many students who come to the program have not had much formal Holocaust education, and they have found Hanna’s story to be an eye opening introduction into how one family was affected by the trauma of war. Looking forward to speaking at the Indianapolis BJE Holocaust Education Center of Indiana on Feb. 1, 2018. If you are in the area, please join us. Julie presented Voices of the Generations to the Holocaust and Creative Impulse freshman class, led by Nick Strimple, at USC on Tuesday Oct 31. This has become an annual visit to Nick’s class, engaging students within the USC Music Department with thought and insightfulness into the history of the Holocaust. Thanks to Margaret Rung, Director, Center for New Deal Studies, at Roosevelt University for the warm introduction, along with the Illinois Holocaust Museum and Center for hosting VOG with students and faculty on October 23. There were numerous questions from the audience, including a discussion of survivors guilt. I read a passage from my parents book that describes my mother’s feelings about surviving while others perished around her. As I explained, my mother attributed her survival to luck. As always, the discussion was engaging and the message of “never to forget” was instilled upon the audience. Just back from Chicago where we presented Voices of the Generations to the students and parents at Emanuel Congregation. Thanks to Rabbi Craig Marantz and Educational Director, Tani Prell for hosting. Also thrilled to introduce Mickey (Shucart) Reiss, the daughter of American liberator, Sgt. Harold Shucart, to the congregation after viewing This Is Your Life, Hanna Bloch Kohner. We took many questions from the audience who had the chance to hear from both descendants of a survivor and a liberator. Julie Kohner presented Voices of the Generations at the California Museum in Sacramento on Sunday, Sept 24. This engagement coincided with the museum’s display of Light & Noir, exploring the history of Jewish refugees who fled Nazi persecution during Hollywood’s Golden Age and the second world war. Special thanks to Executive Director Amanda Meeker, and Communications and Marketing Director Brenna Hamilton for hosting us as part of this engaging exhibit at The California Museum. 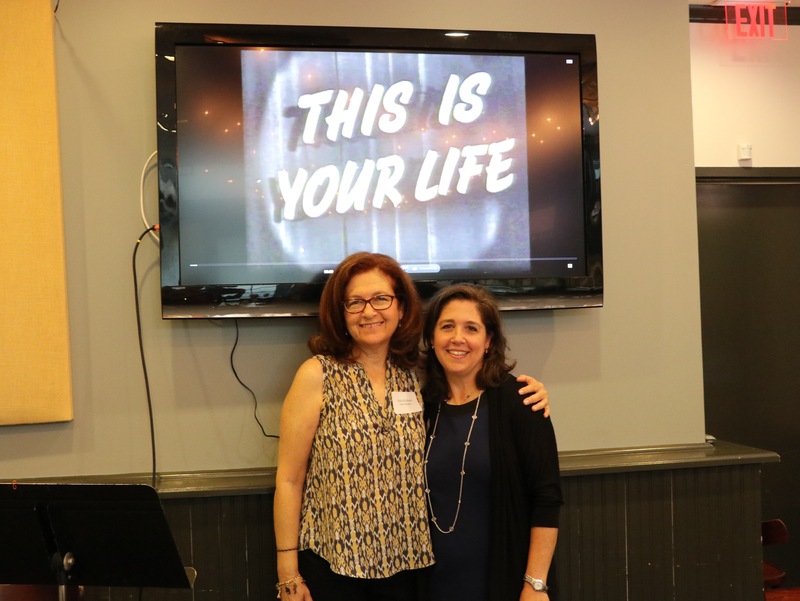 On Friday May 12, Julie Kohner, Founder of Voices of the Generations, was the guest speaker at the Jewish Federation’s Lions of Judah and Pomegranates lunch. 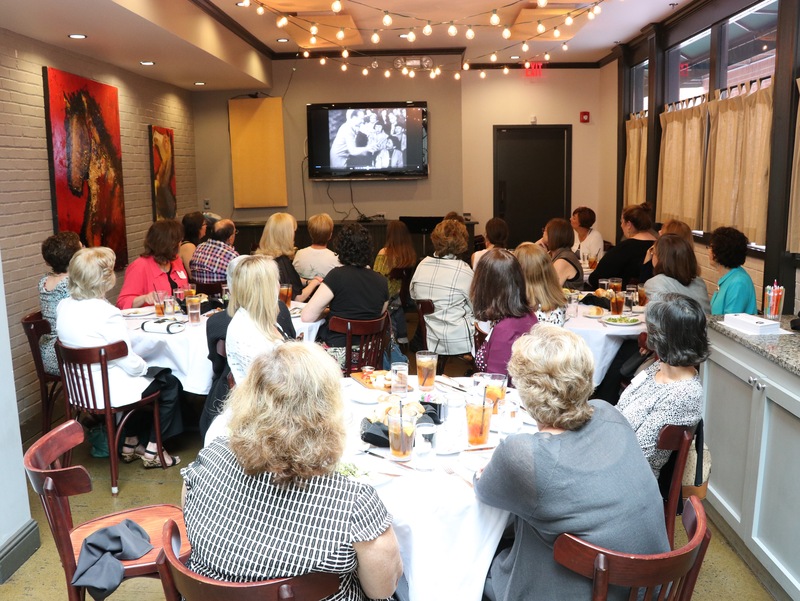 The luncheon attendees were moved and inspired by the program. In addition, Julie introduced a surprise guest, Jay Shucart. Jay is the son of Sargent Harold Shucart who librtated Hanna from Camp Mauthausen. Harold Shucart was one of the surprise guests featured on the 1953 episode of This Is Your Life, Hanna Bloch Kohner.